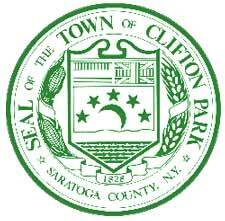 Clifton Park NY- The Clifton Park Town hall now has a drop-off location for the "Books For Troops" Program that will be open through the end of the year. They will be collect donations of paperback, comic and puzzle books to send to the military currently serving overseas. The program is run by local volunteers and is sponsored by Operation Adopt a Soldier. Lightweight reading materials can be taken on the move and serve as easy entertainment for soldiers. All reading materials donated should be acceptable to the host country's cultural values. The collection box will remain open through the end of the year. You can support our troops with the simple donation of a book. As the holidays draw near dont forget about our soldiers. Operation Adopt a Soldier also accepts cash donations, if you wish to do so. The money goes towards making and mailing care packages overseas. For more information please call the "Books For Troops" Manager, Keegan at (518) 373-4939.